No interruption at output for small duration line interruptions/Brown-outs. No electrical noise, as no moving parts or semi-conductors are used. 100 times faster than servo stabilizer. Can work at very low voltages on partial load. 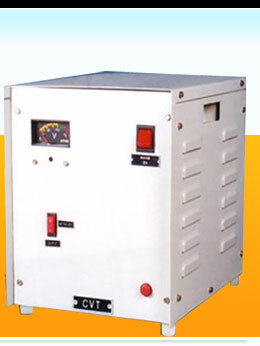 DC output regulated ( Battery Charger/ Instrumentation supplies types) could be supplied. 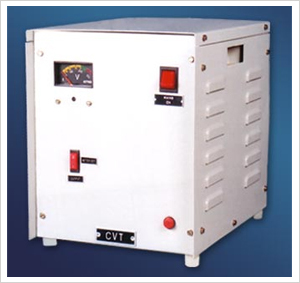 Inverter grade CVTs can also be designed and supplied. The heart of our Sigma Line Regulator-Isolator-Conditioner is the Ferro-Resonant Regulator Transformer. Special design techniques were employed to provide a truly isolated secondary winding, for isolated, dual function performance . 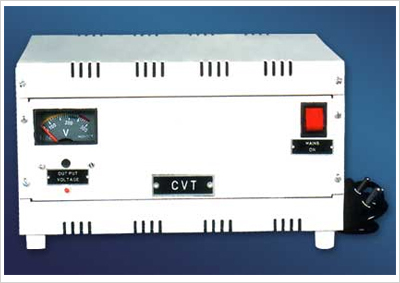 Many instances arise when it is desirable to incorporate a Voltage Regulation - Isolation transformer within an electronic product, rather than resorting to an accompanying stand-alone regulator. 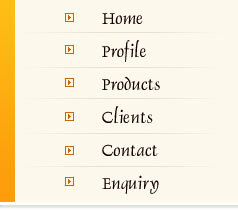 This may be desired for special application designs, such as a demonstration, display or a design prototype. Other instances may be for production runs, where it was found the Voltage Regulator/Isolation transformer enhanced performance, protected equipment and prolonged operational life. Electronic Specialists now make their Ferro-Resonant Voltage Regulator-Isolation transformers available to permit designers, professional repair & Maintenance staff and serious experimenters the opportunity to incorporate advanced equipment protection. These are the identical transformers we use in our nationally sold SigmaLine ® Regulator-Isolator-Conditioners. You add any Suppression or Filtering networks your equipment requires.